Not every place in India boasts of unimaginable beauties and the tendency to create everlasting memories. However, there are certain places which can assuredly redefine natural beauties through their charm and enigma. 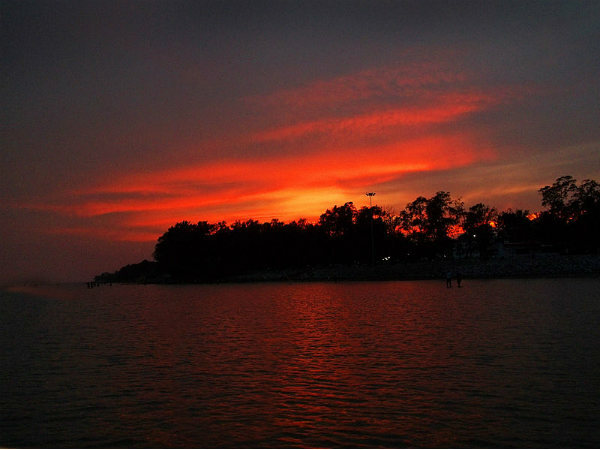 Chandipur is amongst these charming places and is a perfect weekend getaway from Kolkata in the state of Odisha. Famous for its scenic beauty, Chandipur is an ideal spot if you are looking to spend your weekend under the shades of equanimity and collectedness. So, how about planning an unforgettable trip from Kolkata to Chandipur this weekend? Read on to know more about this beautiful town and how to reach it. Being a beach town, the temperature at Chandipur remains bearable throughout the year. Hence, it is a year-round destination. However, if you are not looking forward to experiencing its summer season, then the best time to visit Chandipur is from October until the end of April. By Air: You can take a flight to Bhubaneswar airport and then from there you can hire a cab or catch a bus to Chandipur, which is located at a distance of around 210 km from the airport. By Rail: Balasore, a nearby city, is well connected to Kolkata and other cities by rail. You can catch a train from Kolkata to Balasore. Once you have reached the station, you can hire a cab to Chandipur, which is located at a distance of around 10 km from Balasore. By Road: As the roads are in good condition, Chandipur, located at a distance of around 260 km from Kolkata, is easily accessible by road. However, route 1 is preferable as it will take an average time of 3 hours lesser in comparison to route 2. You can reach Chandipur from Kolkata within 5 hours by taking route 1. Once you are on your way, you can take a break at Jaleswar and witness its beautiful environment. Jaleswar is located in the Balasore district of Odisha at a distance of about 65 km from Chandipur and 195 km from Kolkata. Jaleswar is popular amongst local tourists for its temples and age-old culture. There are also several other places to visit in and around the town of Jaleswar. The major places which you must not forget to visit while in Jaleswar include Chandaneswar Temple, Bhusandeswar Temple, Talsari Beach and Laxmannath Gara. Sometimes referred to as Chandipur-on-sea, Chandipur is a beach town and is located in the Balasore district of Odisha. Even though it is not an immensely popular destination amongst national tourists, it is certainly visited by hundreds of locals and seasonal tourists every month. Due to its uncrowded environment and still atmosphere, it also attracts several picnic lovers. From beaches to temples and hills to forests, there are a lot of things to explore in and around Chandipur. Following are the important tourist destinations which you cannot afford to miss. Chandipur Beach is one of the most beautiful beaches in Odisha, owing its popularity to an uncrowded shore and spectacular views. It has become a perfect weekend destination and an ideal picnic spot for the locals and state tourists. You must visit Chandipur Beach if you are looking forward to witnessing the nascent beauty of beaches in Odisha. If you are looking to explore beyond the boundaries of Chandipur, then Simlipal National Park is the perfect place to visit. It is located in the Mayurbhanj district and is known for the population of royal Bengal tigers and wild Indian elephants. As the region of Simlipal National Park is rich in green vegetation and diverse wildlife, you can spot several rare and endangered species of animals and plants. There are also a few beautiful waterfalls present within the boundaries of this wonderful national park. You must visit Simlipal National Park if you have never witnessed the surprising beauty of nature. Nilagiri is a small town located at a distance of around 30 km from Chandipur and is famous for its ancient temple and religious sites. The most popular places in Nilagiri include Panchalingeshwara Temple and Jagannath Temple. As per legends, it is believed that Lord Rama along with Goddess Sita and Lord Lakshman stayed at Nilagiri during their exile. The five lingas of Lord Shiva at Panchalingeshwara Temple were enshrined by Goddess Sita. Hence, it is considered a significant religious site in Hinduism.